If you will recall, I lost my car in January. The "preowned" vehicle we bought to replace it has since been driven by my wife, leaving me to drive her old 2001 Honda CRV, a vehicle I came to despise with the intensity of a hundred suns. 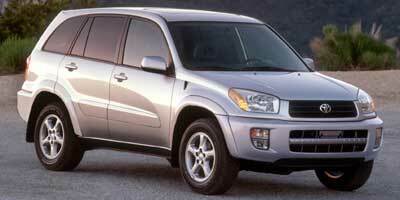 The exterior of the car displayed the scars of its 12 years of hard living and its interior smelled of putrid death. I do not prescribe to the notion that we are defined by our cars, but driving this one always left me feeling diminished. With its transmission failing we decided it was time to replace it as well and so a month or so ago I traded it in for a 2010 Toyota Prius. Yes, I am now one of those drivers. I accelerate slowly, coast at the speed limit whenever possible and begin to slow down a mile or so before I actually need to stop. In a remarkably short period of time I have become incredibly frustrating to drive behind, but on the upside I have consistently averaged 50 miles per gallon. The combination of an electric and gasoline engine along with a regenerative breaking system is what technologically allow the Prius to achieve its high gas milage. But it also provides the driver with important information about their driving habits that most people do not. I now know now what the cost is in efficiency for driving over the speed limit on the highway. I now know how much gas is wasted on sudden starts and stops. I now know how adjusting my speed relative to the terrain can save a significant amount of fuel. I still get to where I'm going and more often than not I end up right beside the For F-150 driver who passed me in disgust because I had the gall to do 30 in a 30. The other thing that's really cool about the particular model I bought is that it has the "solar roof" package. Basically a small photo-voltaic panel on the roof of the car that powers the air conditioning fan when the car is parked. 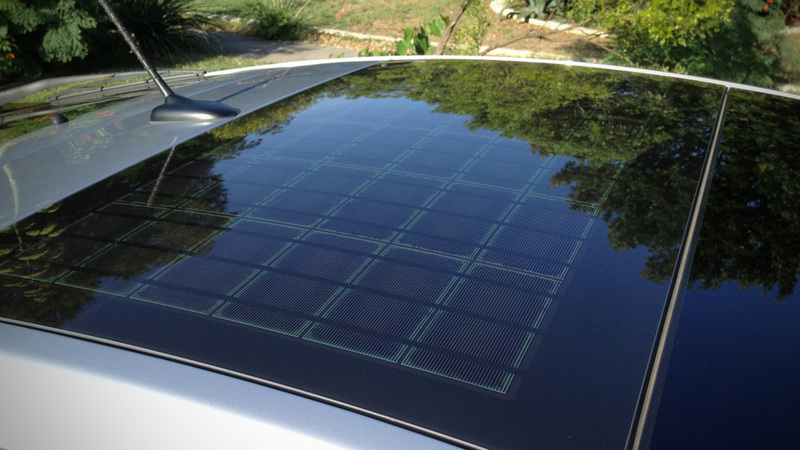 The array is in no way powerful enough to charge the car's main battery, but it does help keep the interior of the vehicle slightly cooler when parked in the sun. Although this could be said to be little more than a gimmick intended to appeal the the "eco-conscious" consumer that makes up a large number of Prius owners, it does illustrate what can happen when a single idea is allowed to drive a design. Anyway, I like my new-to-me car and hopefully it will serve me like my previous care for a decade or more. Or at least until I can afford a Tesla. So a week or so ago my daughter and I were hit by an unlicensed driver who ran a red light. The gentleman in question apparently already had a warrant out for his arrest for doing the exact same thing so it seems this was a habit of his. That said, Darcy and I were incredibly lucky. Had we been a little further into the intersection we would have no doubt both been seriously injured given the speed of the other vehicle. Still, the damage was enough that the insurance adjuster determined my 2002 Toyota RAV4 was "totaled" and so arrangements were made to have it taken away. Receiving official news of my car's demise made me surprisingly sad. The financial implications of the situation of course are unfortunate - although the car was old we were planning on getting a few more years out of it. But somehow being given word of its passing affected me emotionally as well. I am not usually sentimental about such things. I never anthropomorphized the car or gave it a name beyond "The Toyota" but I clearly had developed a close attachment to the vehicle. It was the first car I truly bought myself rather than inheriting a relative's hand-me-down. I researched my options thoroughly and invested in a used RAV4 I deemed would be small enough to get me good gas milage but big enough to move my stuff around. And for a decade it did just that. The car was a perfect fit for where I was in my life and it continued to be a great car even as it passed 191,000 miles. As I cleaned out its contents ahead of turning it over to a salvage company I was reminded of all the places we had been together. It drove me to New Jersey for grad school and it brought me back to Texas to the woman who would become my wife. After we were married it moved us into our first apartment and later it moved us into our first home. It drove me out to research all of my courthouses and it took my growing family down to the coast for long weekend vacations. It was the first vehicle both Sammy and Darcy ever traveled in as it took them both back home from the hospital where they were born. It drove Sammy and I out on our summer hiking adventures and it drove Darcy to sleep in the middle of the night when nothing else would comfort her. It drove me to meet my first clients when I started my own office and at the end of every day it drove me home. Its windshield was the frame for over ten years of my life. No doubt it is the memories that stir the emotions in me more than the loss of the steel and glass and upholstry. It is - or rather was - a machine and so it does not in itself have a soul. But it provided momentary shelter for those souls traveling on the journey of life and delivered them safely a little way down the road. 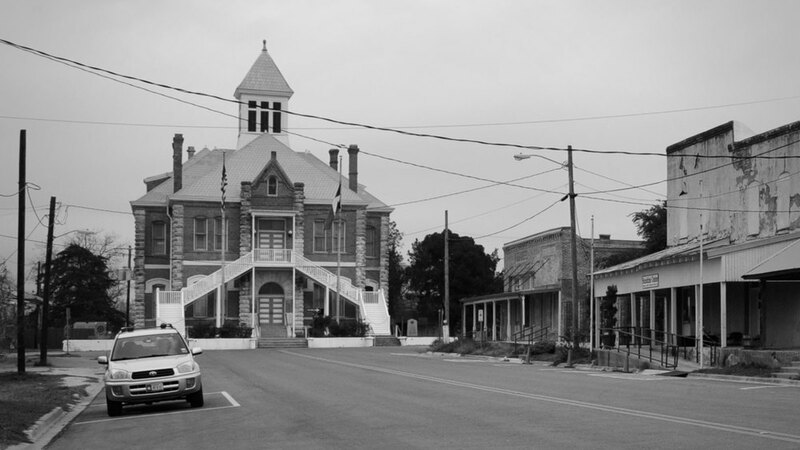 Three days prior to the accident I drove the Toyota to Abilene to set up an exhibition of some of my courthouse work. Although I did not know it at the time, it would be our last road trip together. I left very early as I needed to photograph the Bosque County Courthouse right before sunrise. As I made my way down Highway 6 toward Meridian, the setting full moon inched closer to the horizon until for a brief moment it sat like a glowing dome at the end of the road before me. It was a perfect alignment of Moon, road, car and driver, and it was beautiful. It was a fitting way to send off a great machine. It was a perfect end to a remarkable ride.